Welcome everyone in style with this personalized Wine Glasses wall plaque! 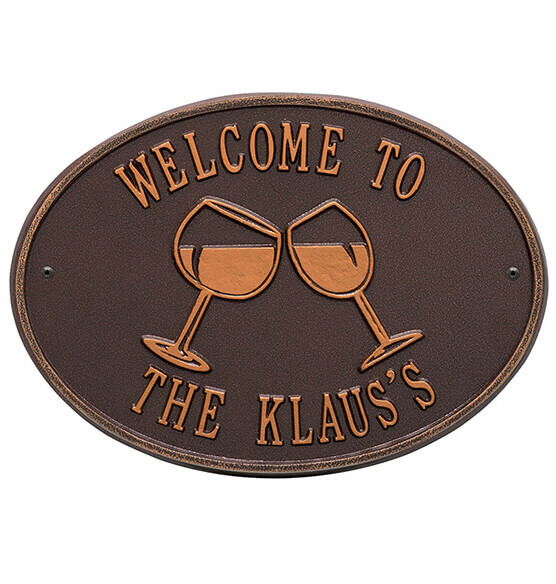 Immediately upon arrival your guests will recognize it's time to relax and enjoy the company. 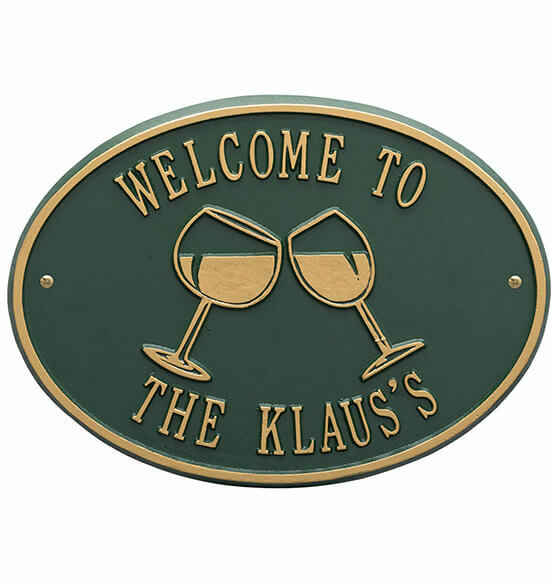 Made from environment friendly recycled aluminum these signs are weather resistant and will outlast any conversation you can have. 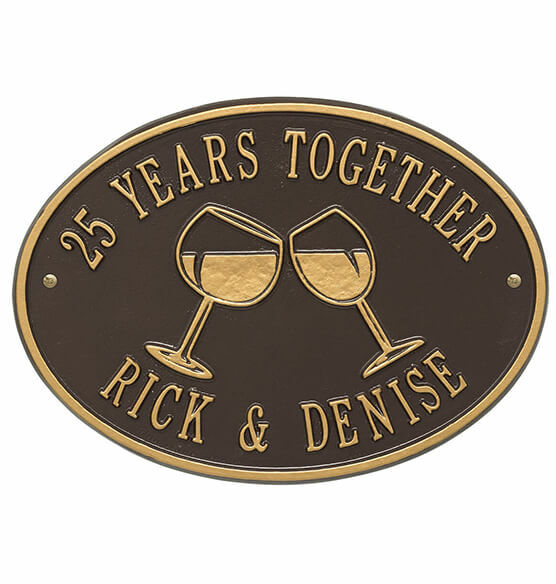 Each sign is custom made in the USA to your specifications giving you the ability to create the perfect greeting for your guests. 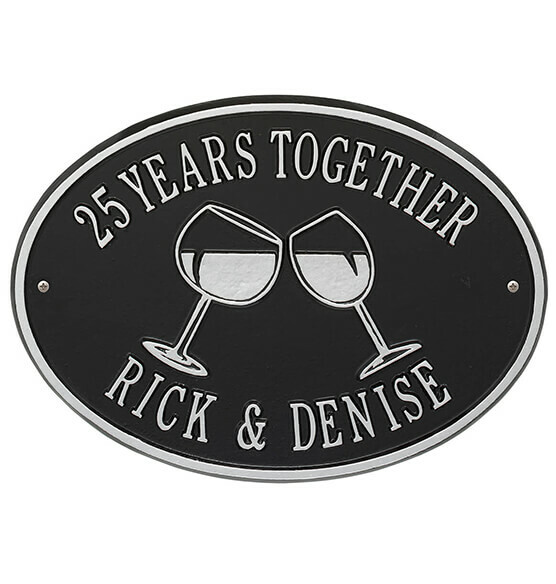 Keep the good times going at your patio, deck, backyard or home bar and order your custom Wine Glasses sign today! Manufactured from high-density cast aluminum alloy. Alumi-Shield™ Protects against the harshest weather and environmental elements. Extends the product life and maintains the look and function. Specify personalization: limit 2 lines/16 characters each. Perfect for our Lake House! It was heavier than I anticipated and it was top quality as well. I love that one wine glass is slightly bigger than the other. I would highly recommend!